Israeli chocolatiers aren’t worried about the reported shortage of the sweet treat despite warnings by the world’s largest cocoa grinder, Barry Callebaut, that a potential chocolate shortage by 2020 is imminent. “Originally, only kings were able to get chocolate. As long as people want it, people will grow it. I think reports of a shortage in chocolate are a marketing tool to get people to pay more,” added Jo Zander, co-founder of Holy Cacao. Visitors centres and chocolate-making workshops like Sarina have popped up around Israel as the domestic gourmet chocolate scene continues to grow. From Sweet N’ Karem in Jerusalem to Sarina Chocolate in the Sharon region, to Galita Chocolate Farm near the Kinneret to De Karina Chocolate Factory in the Golan Heights, to Hagit Lidror’s Vegan Chocolate in the Western Galilee, hands-on workshops on making pralines and other chocolate treats are popular. Israel has a Chocolate Museum in the Upper Galilee and annual chocolate festivals. At Sarina Chocolate, the workshop begins at the hothouse. This is the only place in Israel where visitors can see cacao trees. Drucker had worked as an English teacher before becoming a chocolatier. In 1999, her husband, Gil, who is an agriculturalist and grows oranges, was relocated for a job to Germany and they lived there for six years. During that time, she decided to take a course in chocolate-making at Barry Callebaut Academy. She was hooked. Fine-tuning her craft came via internships and visits to chocolatiers in Europe and North America. Upon returning to Israel in 2005, she and her husband decided to “build this centre from scratch on our own land” in Ein Vered, a moshav near Netanya. After five years of bureaucracy and licensing procedures, Sarina Chocolate opened at Rosh Hashanah 2010. The Druckers decided that cacao trees would add an educational element to their venture. On a visit to a nursery not far from their home, they met a salesman who had brought cacao seeds to Israel from Brazil “because he wanted to be able to say that he had every type of tree at his nursery.” He had tried to grow the trees in Israel with little success. The Druckers bought all six of his seedlings. Though Israel’s weather is not ripe for these tropical trees, the Druckers created a singular hothouse replete with special air-conditioning units, sprinkler systems and drip irrigation. The six cacao trees may need pruning so as not to split open the roof of the hothouse, but their yield is zilch. From the hothouse, visitors are taken to a square mosaic at the entrance to the centre. Here, Drucker tells the abbreviated history of chocolate from the Mayans to the Aztecs to Christopher Columbus presenting these brown beans to King Ferdinand and Queen Isabella, to Spanish explorer Hernando Cortez, who is credited with being the first to add sugar to cocoa beans, to modern-day chocolate habits. A short film highlights the health benefits of chocolate, and shows how the beans are dried, ground and mixed into chocolate sludge before being cooled, molded and packaged. Visitors, decked out in aprons and chef hats, are now ready to get their hands dirty. Eating chocolate is one thing, but actually trying to mold it is a whole other experience. Squeezing the chocolate through a cornetto (funnel) is harder than it looks, as the chocolate quickly hardens. The kids workshop includes fondue dipping, cupcake decorating and making milk-chocolate discs with outlined white-chocolate pictures, as well as three-chocolate molded lollipops. Adult workshop participants get to play with alcohol fillings, premium ingredients and chocolate-making techniques. Like the other chocolate centres throughout Israel, Sarina has workshops for families, businesses, wedding parties, bar- and bat-mitzvah events and birthday parties. 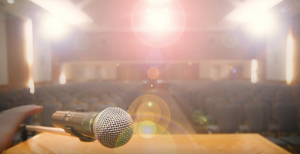 Drucker – who was born in Congo, grew up in South Africa and immigrated to Israel with her family in her late teens – conducts the workshops in both English and Hebrew. “The centre is designed to be an experience for all the senses,” she said. When the hardened chocolates are brought out of the refrigerator and displayed on the counter, they look almost too good to eat. Whereas mass-produced, low-grade chocolate candy bars used to suffice, today Israelis demand better texture and flavors. 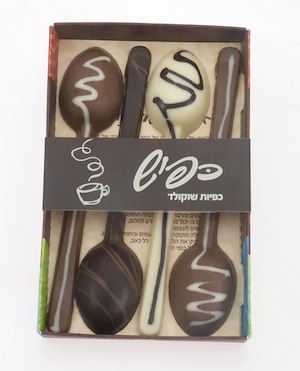 Most of the chocolatiers in Israel – and around the world – use ready-made industrial chocolate processed in Europe. The innovation and creativity kicks in when the imported product is formed into pralines, truffles or flavored confections. One Israeli company, Holy Cacao, actually imports cocoa beans, grinds them and mixes its own chocolate. “We’re proud to be Israeli chocolate. Do we do it to be the most profitable? No. We grind our own beans for quality,” said Zander.